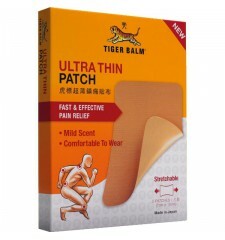 A box of 5 patches ultra flexible application without limit on your body for fight your pain. 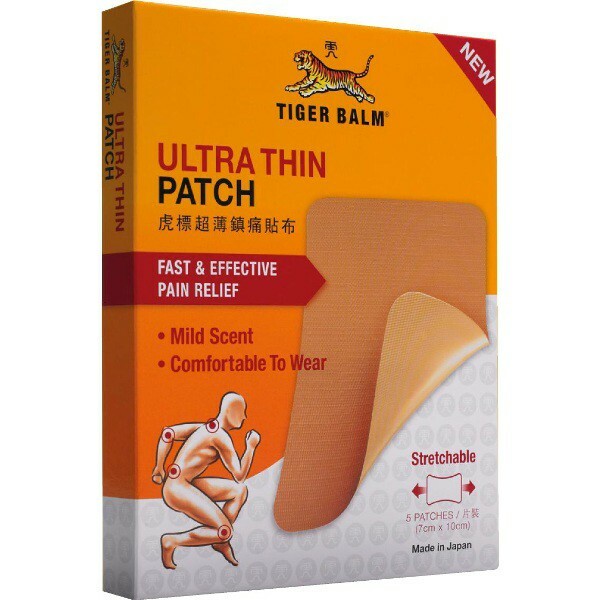 Latest innovation to the range tiger balm, discover the flexible patch. Sold in a box with 5 patches. The application is very simple, remove the plastic wrap and place the patch on clean, dry skin. 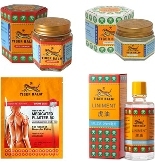 Elbow, knee, shoulder, the patch can be used on all the body, and quickly will relieve your muscle and joint pain.